The Disney California Adventure Park celebrated its Grand Reopening on Friday, June 15th, capping off a major 5 year long overhaul & expansion! We were there for the Grand Reopening weekend and I think the changes they’ve made to the park are all for the better. Now, you’ll enter Disney California Adventure park along Buena Vista Street, a place that transports you back to an era when Walt Disney arrived in California with new dreams: 1920s Los Angeles. 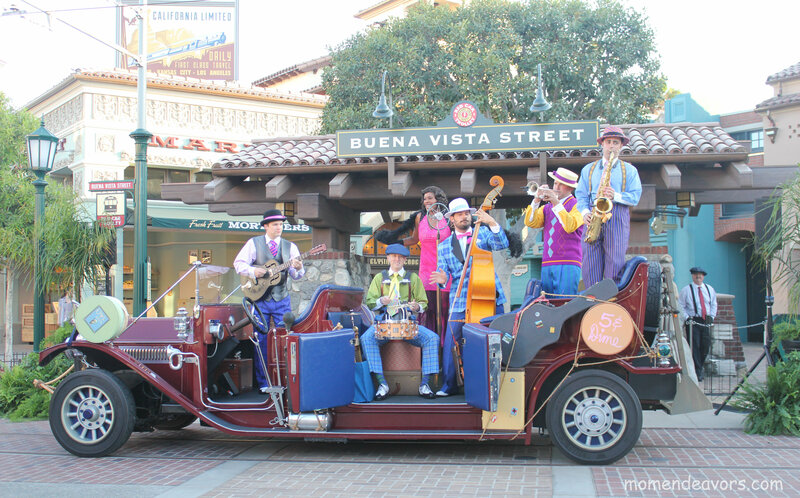 Keep your eyes out for some fun period-inspired street characters and entertainers such as “Five & Dime”. You also might find yourself running into some of your favorite Disney characters–all dressed up in their 1920s Hollywood best! 🙂 Even though we didn’t get pictures with all of them, we saw Mickey and Minnie Mouse, Donald and Daisy Duck, Goofy, Pluto, and Chip & Dale! So, there are definitely some great character meeting opportunities around! One of the main attractions on Buena Vista Street that you won’t want to miss is the Red Car Trolley, based on Los Angeles’ historic Pacific Electric Red Car Line. Two Red Car Trolley cars operate daily, traveling from Buena Vista Street through Hollywood Land and on to the Twilight Zone™ Tower of Terror, making several stops along the way. I think the trolleys themselves are fun, adding a great bit of nostalgia & detail to Buena Vista Street. But, there is a lot of extra fun to be had when the “Red Car News Boys” show up! They roll into town on one of the Red Car Trolleys singing “California Here I Come!” and other fun songs inspired by the spirit and style of Disney’s Broadway show, “Newsies.” Even Mickey Mouse joins the show, which the boys especially loved! I love “Newsies”, so when they broke into “Seize the Day”, I got goosebumps! It was soooooooo good! A fabulous show –definitely worth a street side stop to take it all in! At the end of Buena Vista Street, you’ll come to the Carthay Circle Theatre. It’s actually modeled after the site of the 1937 world premiere of “Snow White and the Seven Dwarfs”. Neat, huh?! 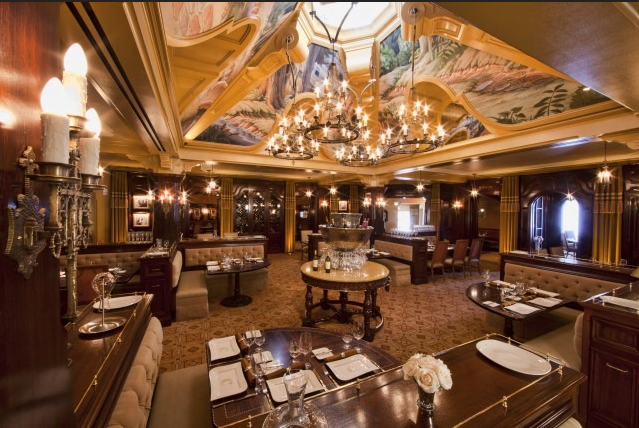 The Carthay Circle Theatre also includes a lounge and elegant restaurant, which is designed to be the premier dining location in Disney California Adventure. We were so busy that we didn’t get a chance to go in, but it definitely looks amazing in pictures! 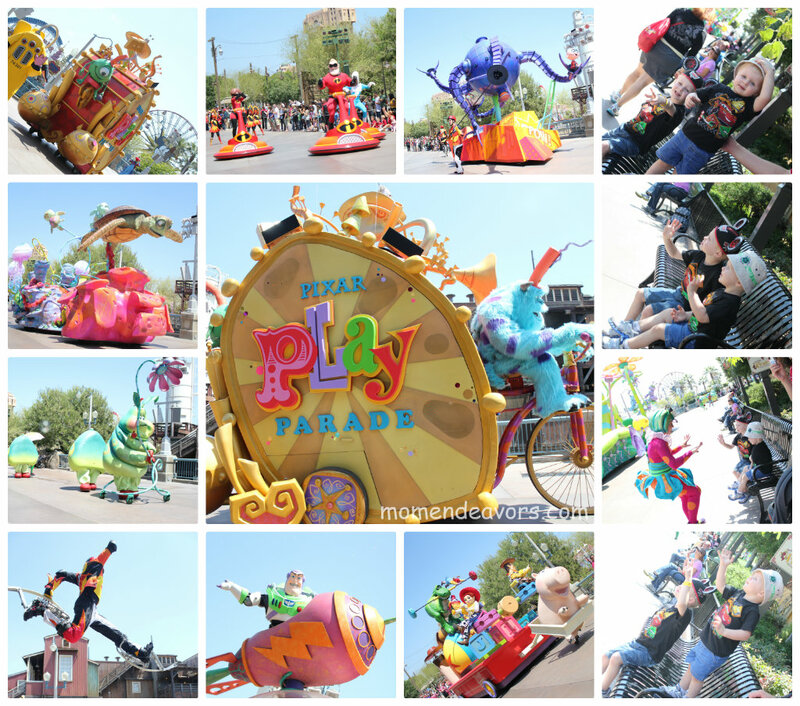 In addition to all the fun of Cars Land, the kids will LOVE the return of the Pixar Play Parade! At about 20-minutes long, it’s filled with all kinds of Disney·Pixar fun! It’s jam-packed with characters from some of your favorite Disney·Pixar films (like Monsters, Inc., The Incredibles, Finding Nemo, A Bug’s Life, Toy Story), fun floats, performers, music, and more! You may even get a little wet! 😉 The boys loved every minute of this!! They were so cute waving to all the characters! Fun, new entertainment continues at night in Hollywood Land, with the debut of “Mad T Party“. Inspired by Tim Burton’s “Alice in Wonderland”, you’ll enter the party through a whimsical, fog-filled Rabbit Hole gateway. 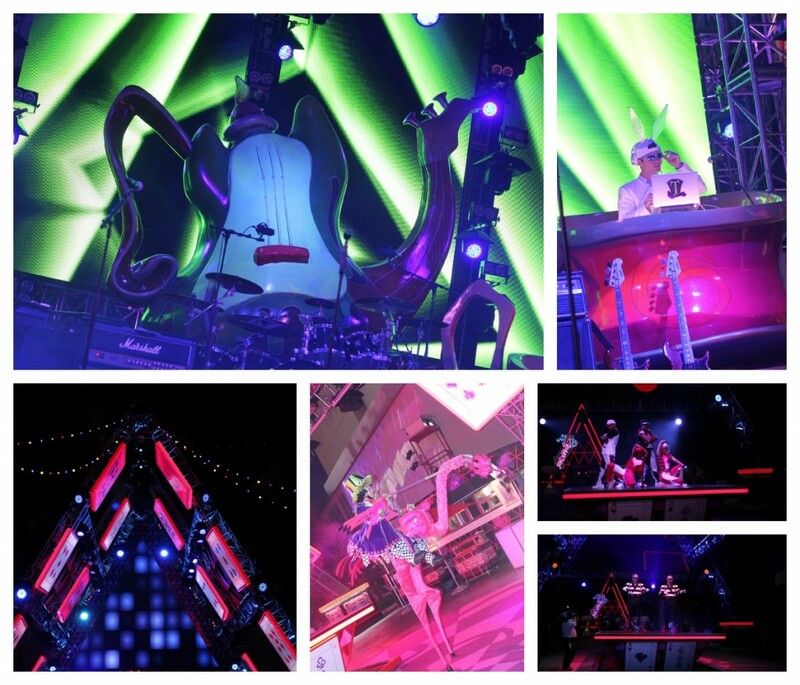 True to “Wonderland” form, a nighttime experience like no other awaits you on the other side — a rather “mad” club, complete with with live music, dancing, unique entertainment, tasty treats, and games. Food can be purchased from a themed food truck, along with alcoholic and non-alcoholic beverages at several locations including the “Drink Me” Bar and House of Cards Bar. 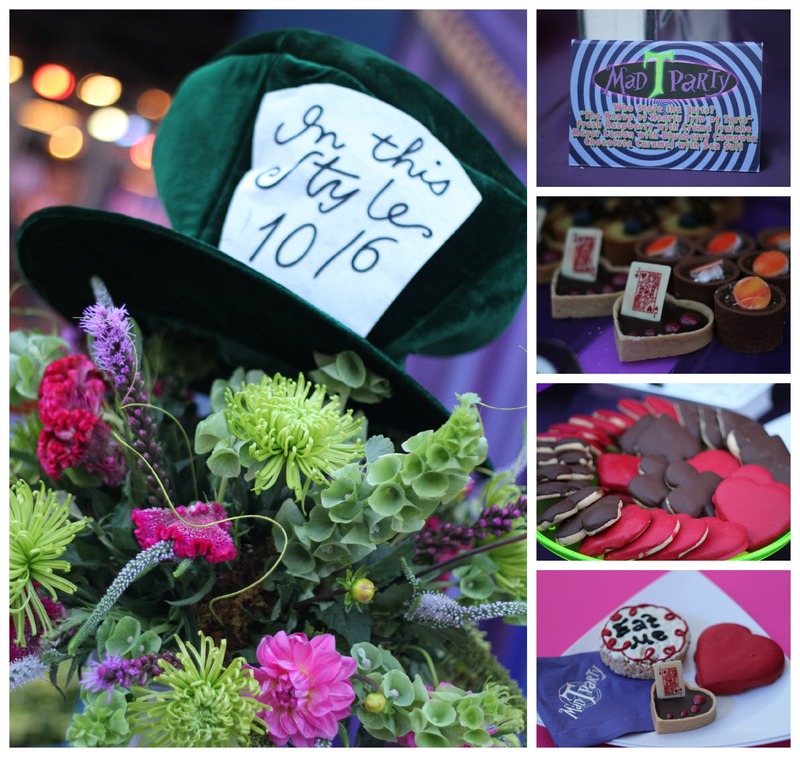 On the special premiere night, we loved the fun Alice in Wonderland eats–like the “eat me” rice krispie treats and various card inspired treats! 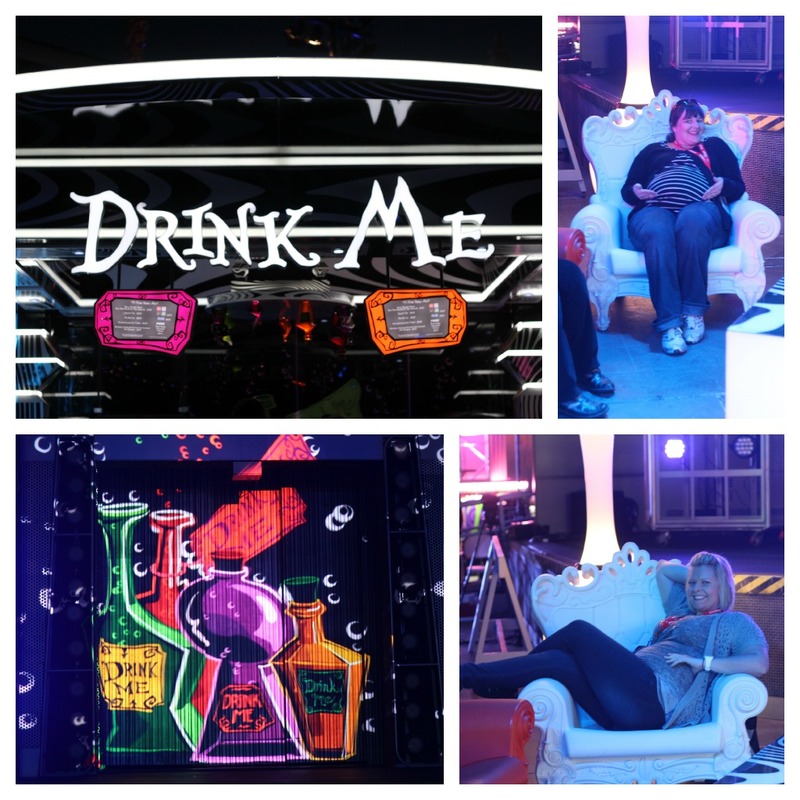 Emily (from Family and Life in Las Vegas) and I had fun trying out the oversized chairs in the “Drink Me” lounge area too! So fun! While you’re enjoying your food and/or drink of choice, there’s plenty of music & entertainment to take in as well! For starters, there’s the Mad T Party band on the main stage. But, when they’re not performing the fun still goes on with the White Rabbit DJ! Down from the main stage, is the House of Cards, complete with drinks, games, more entertainment & specialty acts. 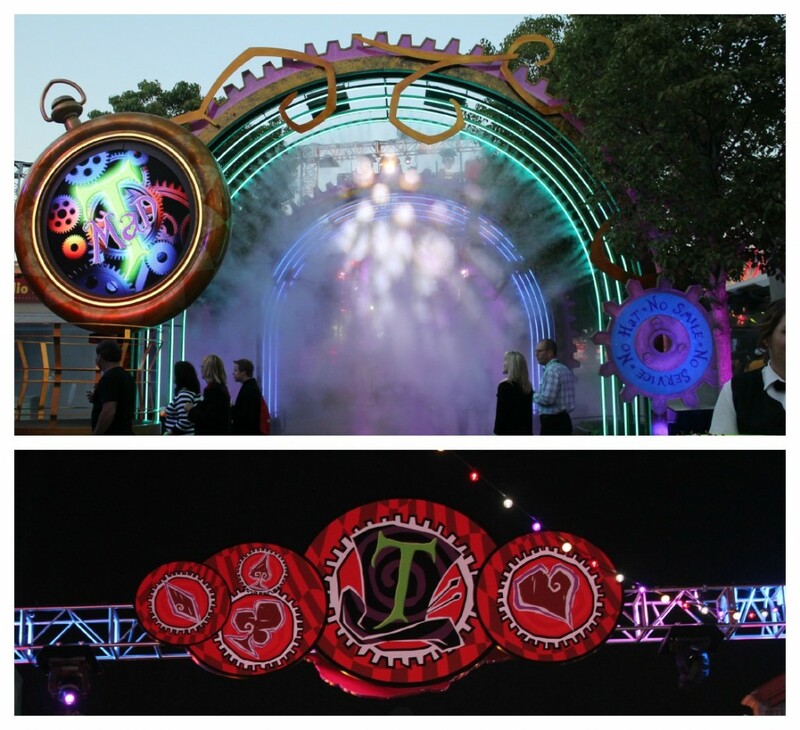 The “Mad T Party” will continue nightly (starting at dusk) through the end of summer. Then, the off-kilter, “mad” festivities will continue on weekend nights (Friday, Saturday and Sunday) throughout the year in Hollywood Land. 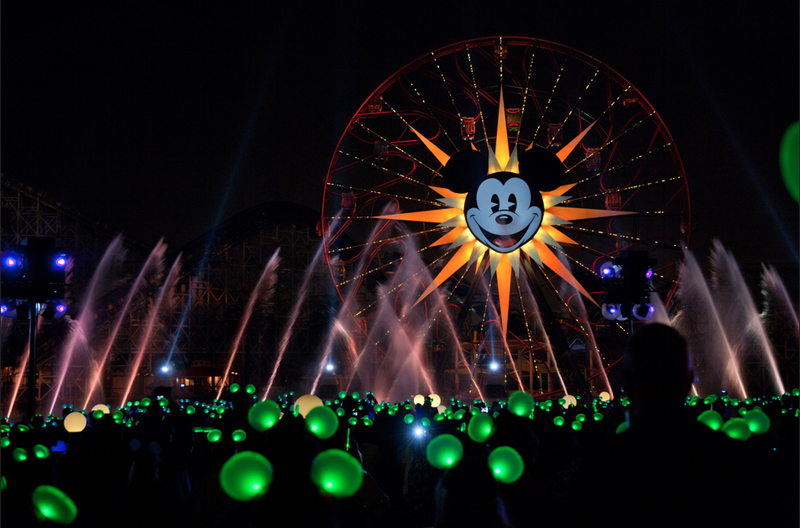 World of Color is the other must-see nighttime entertainment at Disney California Adventure. This water spectacular show actually debuted in 2010 (and we had the pleasure of seeing it on our Disneyland trip last summer). But, they’ve made a few changes to the show to add to the excitement around the park! First off, Merida (from the new Disney-Pixar film, BRAVE) joined the show! Her fiery red hair seems a perfect addition! 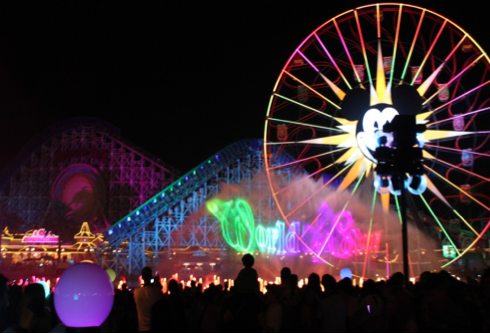 And, perhaps the most fun new thing with World of Color is the new Glow with the Show concept! There are now “Glow with the Show” Mickey Ear hats for sale. These are actually interactive hats (using the latest, infra-red trigger technology) that change colors in sync with shows like World of Color and Mad T Party. For an added bit of fun, when not activated by the shows, the magical ears glow with other settings around Disney California Adventure Park. Whew! That’s a lot of fantastic stuff! It is definitely clear that a lot went into this 5-year long transformation of Disney California Adventure Park…and the results are fabulous! Which of the new attractions look most fun to YOU?! Dis­clo­sure: In order to expe­ri­ence the new Disney California Adventure Park attractions & cover the events, I received com­pli­men­tary items as a media mem­ber. How­ever, I was not asked nor com­pen­sated to write this post. My love of Dis­ney, excite­ment, and opin­ions are entirely my own! 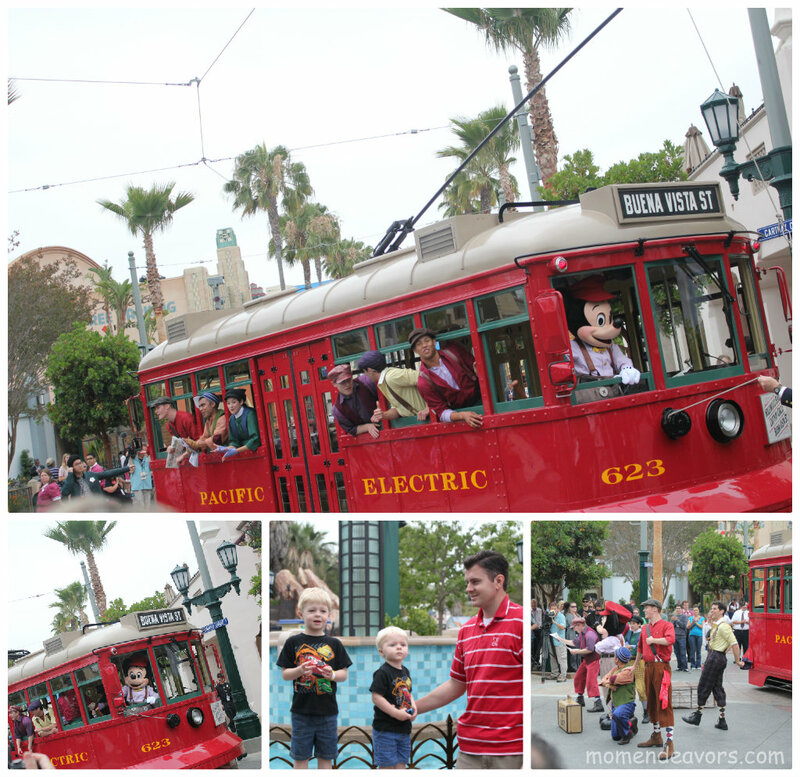 Love the red car trolley! I LOVE that there’s something for everyone, and each of your smiles tells me that it is a spectacular place for kids of all ages! Looks like fun! We can’t wait to plan our next trip!! Your photos are awesome! 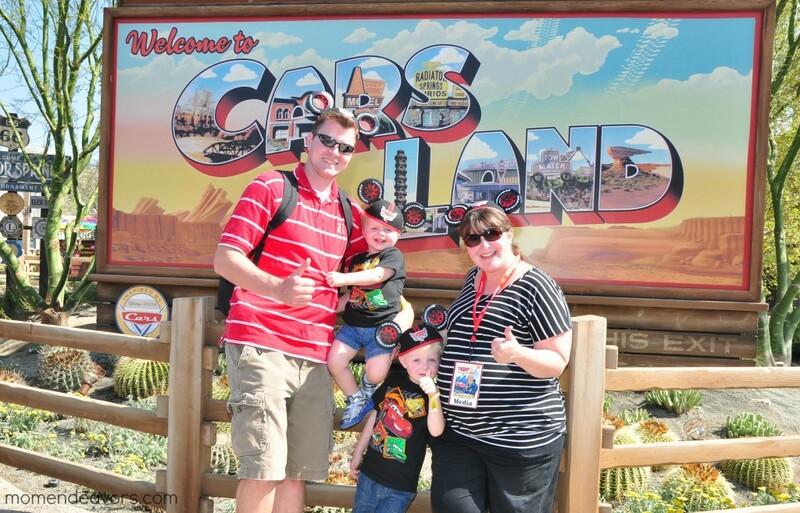 Thanks for the many recent blog posts of Cars land. We LOVE Cars & Disney. We unexpectedly get to go again this year and can’t wait to take in the new improvements…so jealous you got to attend the premiere…but so happy for you!! So Much Fun…. my DH dislikes ALL theme parks. (Or any place crowded.) 🙁 So sadly I will not be going. I would love to see it all! Especially the World of Color and Cars Land…. I love CARS. Wow! I want to go so badly now! Looks like so much fun!! Thanks for sharing! 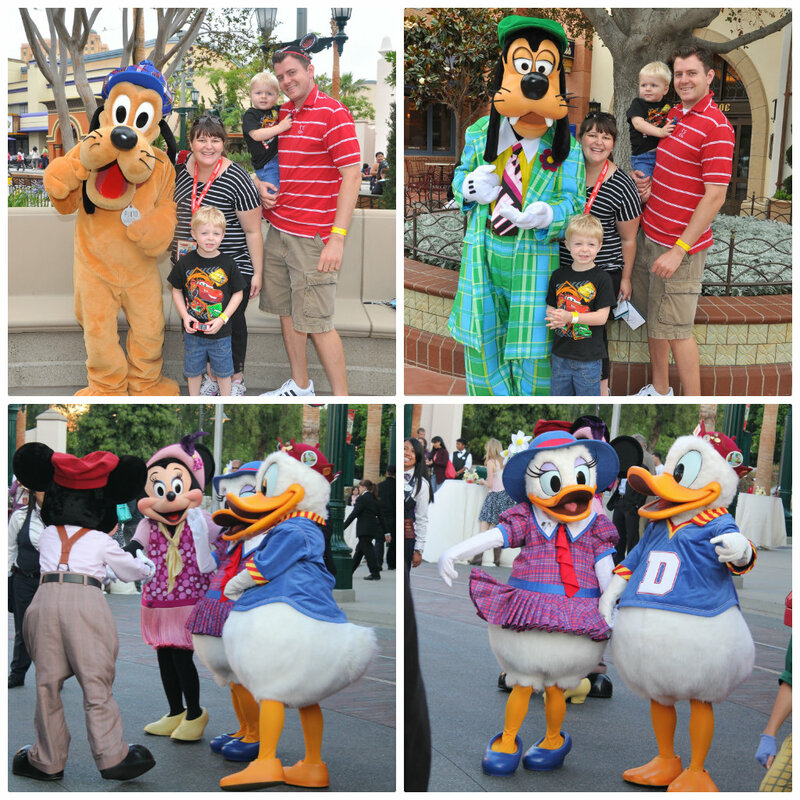 I love your post on the new additions to Disneyland. After reading your write up we are really trying to put together a trip for this fall! Can’t wait to go back and see the new things! The Mad T Party looks amazing!! I can’t wait to check it out!